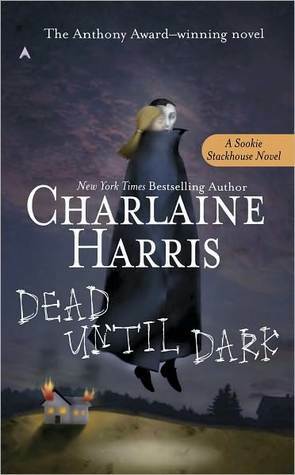 When I started this book, I was really disappointed with Charlaine Harris' writing style. I expected a lot more out of a book that is so popular, and as I struggled through the first half of this book, I wasn't sure I'd be able to continue. However, once I'd made allowances that this wasn't going to be good literature, I was able to enjoy the story. Harris mostly makes up for her lack of description and introspection with her sense of adventure. I'll review the whole series here (no spoilers) since there is little difference in quality from one book to the next. The stories are imaginative, fast-paced and absorbing. There were times I did get annoyed with the repetition of past events in each books, and repetition of descriptions in each and every book - such as the racing stripes on Jason Stackhouse's truck (in one book she changed them from pink and aqua to pink and purple & and I wonder if she did it just to see if anyone noticed LOL). Sookie is so stubborn sometimes you feel like slapping her (this didn't fail to translate in Anna Paquin's portray on the TV show - which I love), but realistic characters are never black and white. Harris uses a thesaurus, but not in the best possible way. She could really do with some help varying her sentence structure and length. I read most of these books back to back, but I had to take a break every once in awhile and read something else when the flaws started to irritate me too much. Despite my criticisms, I enjoy the saga. It's as far into the 'romance' category I'll ever go, and I don't plan to stick with the 'fluff', but it was definitely a fun adventure.